Today, the Job Creators Network—as part of its Tax Cuts Work campaign—is running a full page advertisement in USA Today highlighting the members of Congress who voted in favor of the Tax Cuts and Jobs Act last year. The legislation has brought about widespread economic growth and has allowed small businesses to expand, invest, and hire. 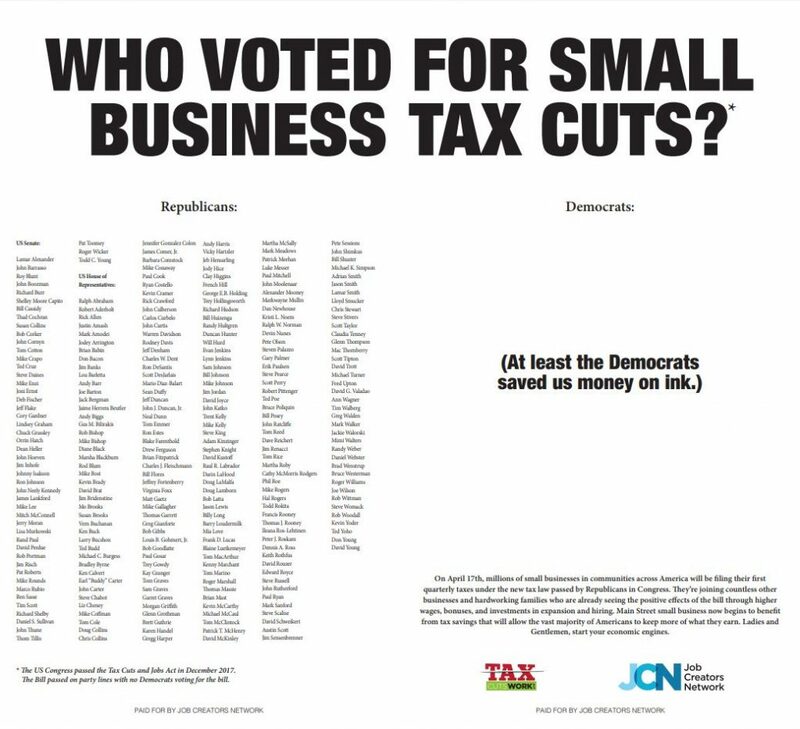 The advertisement reads “WHO VOTED FOR SMALL BUSINESS TAX CUTS?” and goes on to list which members voted in favor of the tax bill by party affiliation. View the full-page advertisement here.